iPhone glass repair in Apple-qualified facilities means relying on places where you have the possibility of obtaining a precise and effective technical assistance service. A fast service, in fact to complete this specific operation it takes only ten minutes. All this without running the risk of losing your data or multimedia files. Furthermore, these facilities do not only operate on iPhones but on all Mac, MacBook and iPad devices. 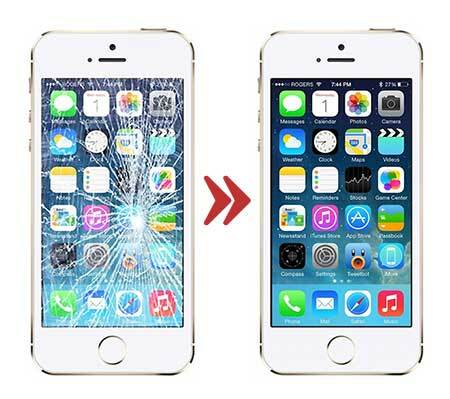 How can an iPhone glass repair can be performed? All customers who need to receive the service from these facilities can go there physically or alternatively there is the possibility of requesting the collection and redelivery service at their home or place of work. A very useful service in which, once the work is completed, the technological device will be returned repaired and working. All this is performed in a surgical way through all the tools available. Refined tools able to facilitate all the necessary tasks. Furthermore, all customers who rely on these qualified locations can benefit, in all installations, from new and original spare parts from the parent company Apple. This factor represents a peculiar and exclusive characteristic. It represents a distinctive feature for these structures. Can these Apple certified facilities provide a warranty on the iPhone glass repair? In this structure, in addition to not risk losing any official guarantee, there is a further guarantee on the operation just carried out. Guarantee that can have the value of different monthly payments and with which you can also go to an Apple Store. Going to these structures means obtaining high and impeccable quality. It means getting an attentive service to every need. A technical assistance service designed and analyzed to meet all expectations.